The Fool's Paradise Earrings are hand made in Colorado by former Marine Jerry Moran of Criffin Designs using new and repurposed aircraft aluminum and other materials. 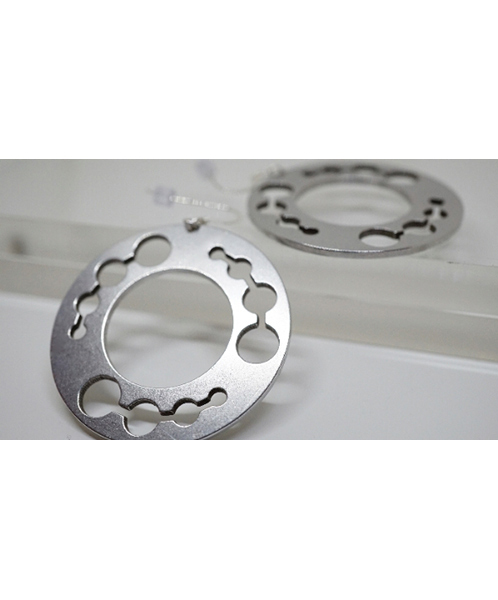 The earrings measure 1 ½" and are made with light weight aircraft aluminum and Sterling Silver earring hooks. The Fool's Paradise earrings are named after the nose art on a WWII Consolidated B-24 Liberator.